If 007 only lives twice and you only live once, then you better add these travel spots to your bucket list. It’s been over 50 years now since the famous movie spy James Bond first visited Japan. Released on June 13, 1967, the film You Only Live Twice saw agent 007 adventuring in the capital and other parts of the country. Three years earlier, the Olympics had put Tokyo in the global spotlight. Now, the city is a mere two years away from hosting another Olympics. Next year also sees the release of the 25th installment in the Bond film series by Eon Productions. Anticipation for this latest movie has been further stoked by the recent announcement that it will be helmed by Danny Boyle, the Academy Award-winning director of movies like Slumdog Millionaire, 28 Days Later, The Beach and Trainspotting. 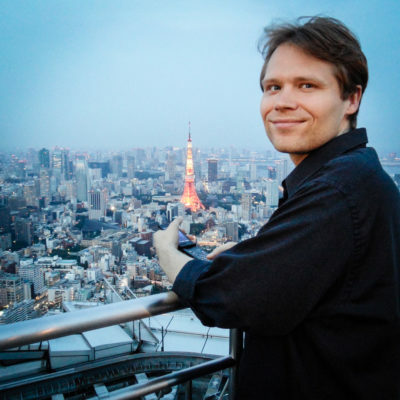 If you live in Japan or plan on visiting (for the Olympics or any other time), these five locations will allow you to retrace some of James Bond’s globetrotting footsteps here. Since March 2018, Mount Shinmoedake — the volcano used for exterior shots of the villain Blofield’s secret rocket base in You Only Live Twice — has been logging major eruptions. With that in mind, it’s not the safest bet for travel at the moment — in fact, access to the mountain is currently restricted — but here are five cooler spots across the country that will allow you to get in touch with your inner spy. Hashima, otherwise known as Gunkanjima, or Battleship Island. Just because you can’t visit Shinmoedake right now doesn’t mean that you can’t see the lair of a Bond villain in Kyushu. In the 2012 film Skyfall, there is a scene where the blond Bond (Daniel Craig) sails from Macau, China to an abandoned island full of crumbling buildings. It’s the perfect locale for a villain’s hideout and it’s based on a real-life island off the coast of Nagasaki. 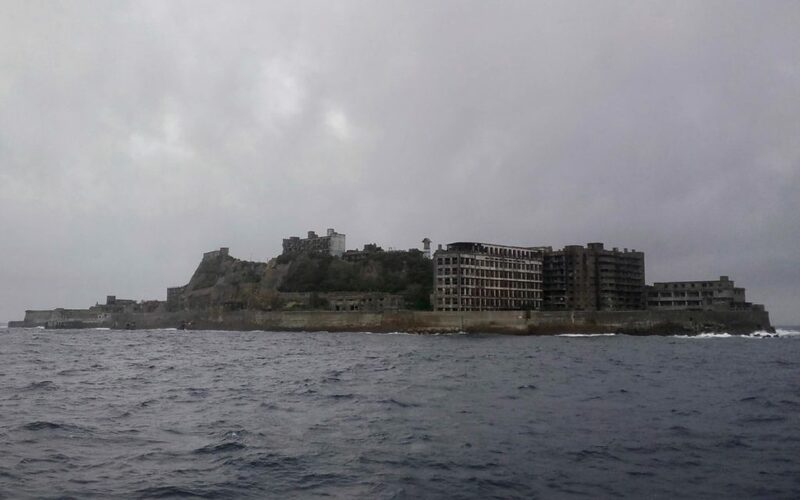 Hashima Island is the proper name, but it’s also known by the nickname of Gunkanjima, or “Battleship Island.” This tag arises from the island’s industrial appearance and ship-like shape. Its buildings extend right out to the edge. The 16-acre isle was once a mining outpost that accommodated a peak population of 5,259, giving it a population density of 835 people per hectare, and making it the most densely populated place on the planet at one time. Since 2009, tour boats have resumed docking on Gunkanjima (weather permitting). Due to the hazardous, deteriorating condition of the buildings, you won’t be able to wander around freely. However, if you’re with a tour group, you’ll be able to walk part of the island’s perimeter. The coolest thing is being able to get an up-close view of Battleship Island from the top deck of your boat with the wind whipping through your hair. Inside the sumo hall Ryogoku Kokugikan. The first location in Japan that the original big screen James Bond, Sean Connery, visits in You Only Live Twice is Ryogoku Kokugikan, the National Sumo Stadium. This is where the Grand Sumo Tournament is held three times a year. It’s right next-door to the Edo-Tokyo Museum, another must-visit place. 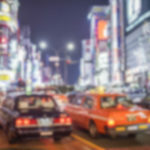 We’ve got a separate guide to Ryogoku on GaijinPot Travel and also a how to watch sumo at Ryogoku Kokugikan on the blog. The latter guide covers aspects of the sumo-watching experience such as fan culture and how to buy tickets. 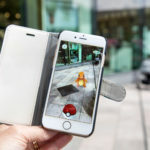 A tip for budget travelers not mentioned in there? 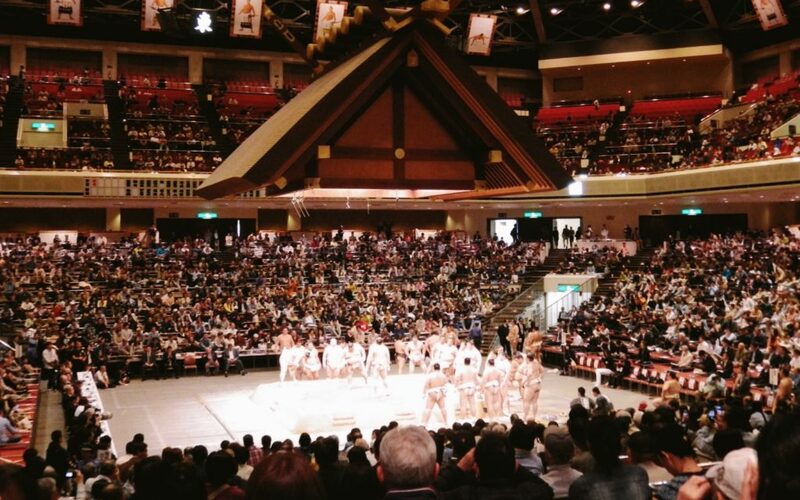 You have a chance once a year to watch sumo inside Ryogoku Kokugikan — for free. The Yokozuna Deliberation Council’s periodic soken (open stadium practices accessible to the public) allow visitors to claim free box seats and watch mixed-level exhibition matches. It most recently happened on May 3, 2018. This writer visited two years ago on April 29. It was interesting to watch top-ranked yokozuna (grand champion, the highest rank in sumo) like Hakuho stretching on the sidelines and to see wrestlers vying for a turn as they put their hands up and the winner of each match picked his next opponent. Spectators do line up for these public training sessions, so be ready to catch the morning train and arrive early if you want to get in when the doors open at 7 a.m. 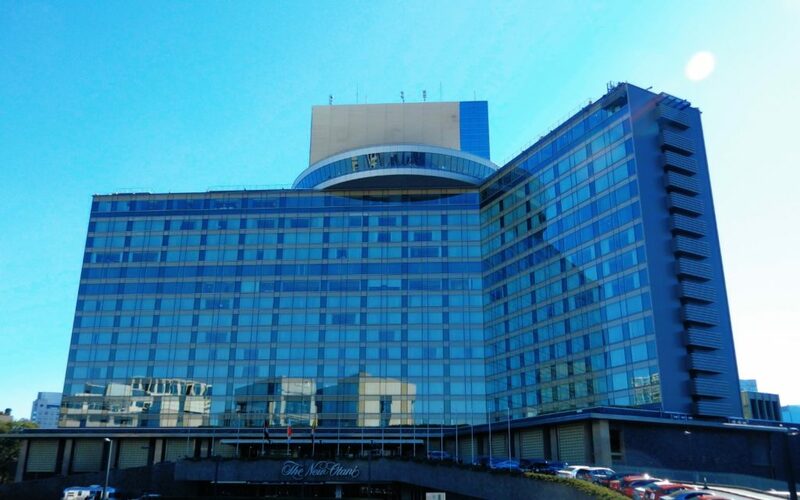 The Hotel New Otani Tokyo. The New Otani Tokyo is a luxury hotel that doubled as the headquarters of the fictional Osato Chemicals and Engineering in You Only Live Twice. If you’re visiting from outside the capital and can afford it, this might make a neat lodging option. Another such luxury option would be the Park Hyatt Tokyo — you can read more about that hotel in our guide to Tokyo’s Lost in Translation filming locations. Even if you’re not staying at the Hotel New Otani, you can still book a dining reservation at its revolving restaurant, The Sky. The restaurant’s rotating floor is currently under maintenance, but it’s well-stocked buffet allows you to design your own sushi, tempura and teppanyaki plates, among other things. From their “stage kitchen,” chefs prepare the dishes right in front of you. As you circle around, you’ll have a view of sights like the hotel’s 400-year-old garden, Akasaka Palace (the State Guest House for visiting dignitaries), and the skyscrapers of Shinjuku. 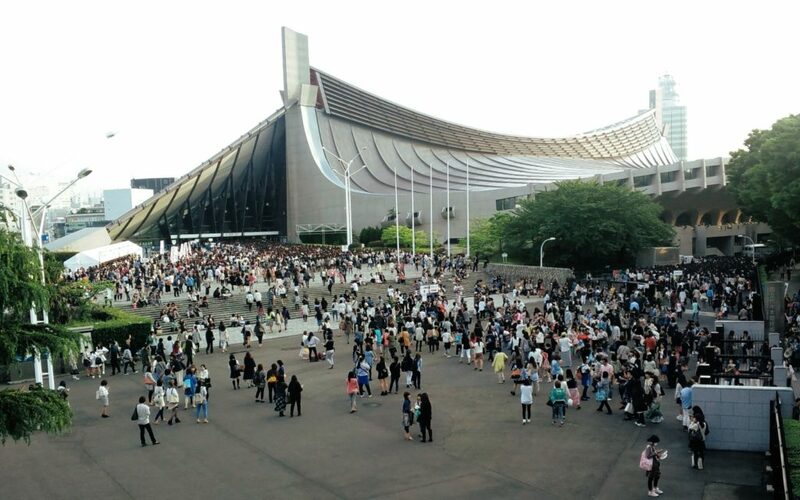 Designed by world-famous architect Kenzo Tange, the building opened in October 1964, just in time for the first Tokyo Summer Olympics. If you’re here in 2020, you’ll be able to see the handball competitions at this venue. Originally, it served as the venue for swimming and diving events. When there are no events being held, it’s usually a ghost town outside the gymnasium. If you’ve just escaped the madness of Harajuku and Omotesando, however, it can be peaceful to just walk by and admire the gymnasium’s curved suspension roof. An animated version of this building also served as the backdrop for the climactic energy-whale showdown in the popular anime film The Boy and the Beast. You also may have seen the building on the news, as the studios of national broadcaster NHK are located nearby. 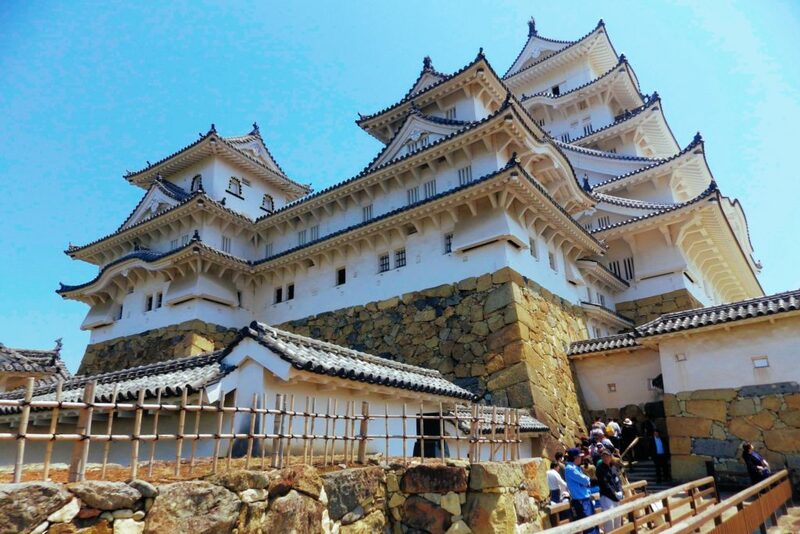 For five and a half years, the majestic main keep of Himeji Castle was covered with a big box of scaffolding. It was undergoing a long period of renovation, one that finally ended in March 2015. If you visited (or even lived in) Japan during the half-decade prior, you would have been unable to see the so-called “White Heron Castle” or “White Egret Castle” in all its glory. Its appearance justifies its poetic nicknames. The castle does indeed look like something of a white bird perched atop a hill. The labyrinthine castle compound is enough to occupy at least a couple hours of exploration. It’s no small wonder then that a Hollywood action movie like You Only Live Twice would use this stunning locale as the site of a ninja training headquarters for James Bond. 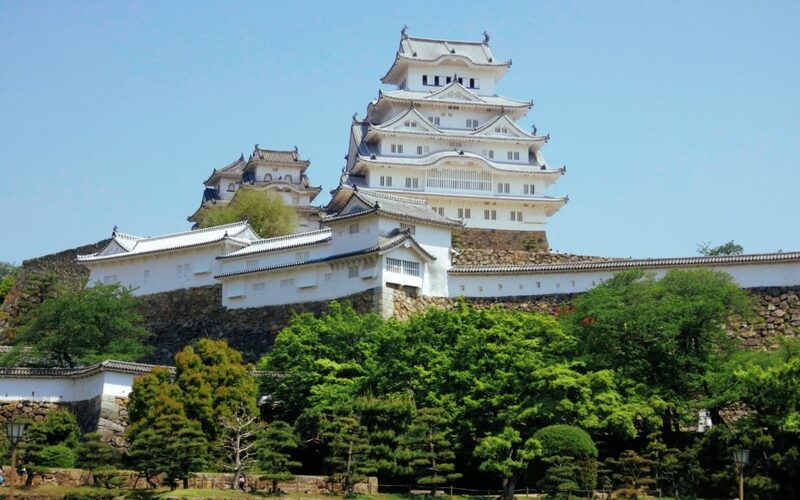 Himeji is located in Hyogo Prefecture, near Osaka and Kyoto. Both of those places contain other cool movie locations you can visit in Japan, so once you’re done playing Bond, you can hop on over there and start living scenes from other Japan-set films like Black Rain and The Last Samurai. Are you looking forward to the next 007 movie? Have you visited any James Bond movie locations in Japan? Share your own experiences with readers in the comments!